Yummy fruit on any day is so refreshing and this orange juice smoothie is no exception! Not only do you feel good drinking it but it makes your taste buds wake up! The combination of strawberries and bananas is a personal favorite and the added orange juice gives this smoothie an added zing! Give it a try! You won’t regret it! What is it about smoothies that make me think of warm spring or summer days! Shorts, swimming pools and playing outside! Riding bikes, sprinklers and working in a garden. I can’t wait for warmer weather! 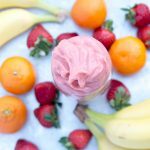 This strawberry banana smoothie with orange juice is so easy to make and if it’s not summer yet it will bring you warm thoughts! Honestly it’s still really cold where I’m at. We are lucky if it reaches the high 40’s, and I know in other parts of the country it is way colder. But I still love to make smoothies even on cold days (as long as the house is warm!). This smoothie is super simple to make! 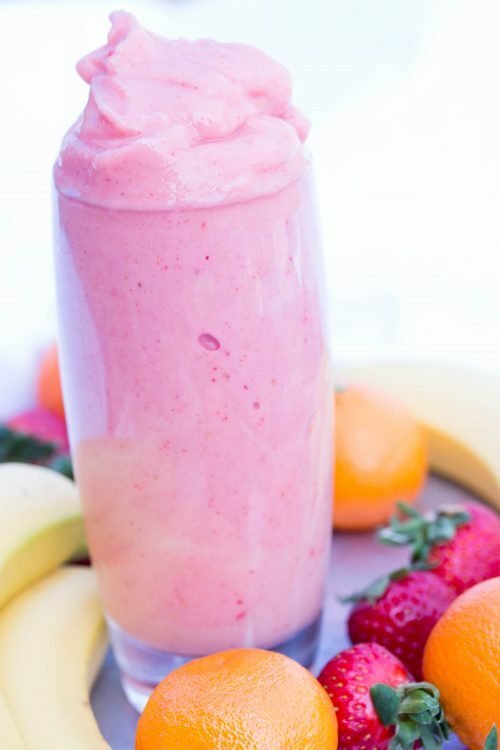 Simply add orange juice, frozen bananas, and frozen strawberries to a blender and blend! Easy as that! This recipe makes enough for four glasses, if you want to share it that is! The fruit gives you lots of energy and is sweet with all the natural sugar in it. You won’t even realize you are getting several servings of fruit in one glass! Your kids will love it too! If you love this orange banana smoothie you have to try some of my others! They are all amazing and delicious in their own unique way! Or check out this easy how to on making a healthy smoothie! Let me know what your favorite smoothie is in the comments below! This 3 ingredient smoothie is smooth, sweet, satisfying, and simply delicious! 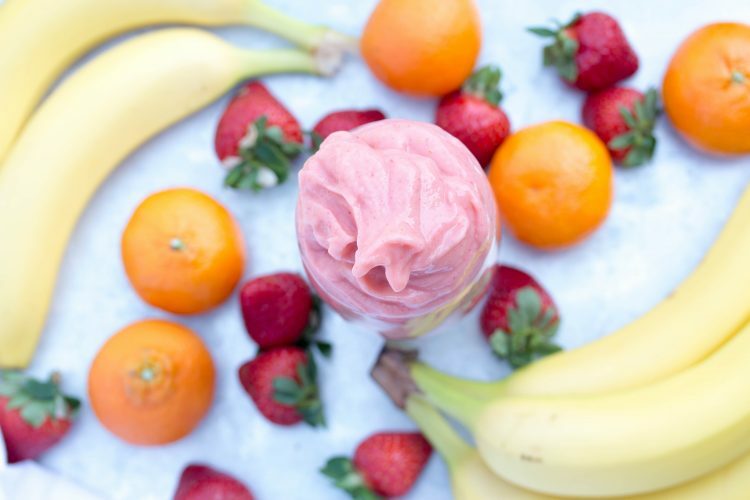 It's time to blend your Orange Strawberry Banana Smoothie. In a high quality blender, add ingredients in order listed. Blend on high for 45 to 60 seconds until smooth. Pour into 4 glasses, serve, and enjoy! 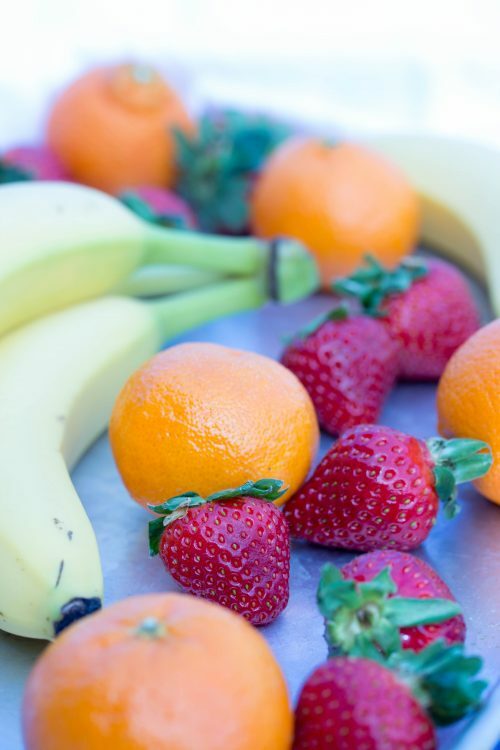 Tip for freezing bananas: Simply purchase yellow bananas (not green and not too ripe), peel all bananas, place single-layered in a gallon Ziplock bag, and freeze for at least 4 hours. For great smoothies like this one, I always make sure I have at least 6 to 8 frozen bananas in my freezer.